I’ve posted on Grillades & Grits a few times in the past, it’s one of my favorite comfort meals, usually for Sunday dinner, although it’s great for breakfast as well. I didn’t follow a recipe for this meal, but I used the same basic procedures as this recipe, although I used chicken stock in place of the beef stock. 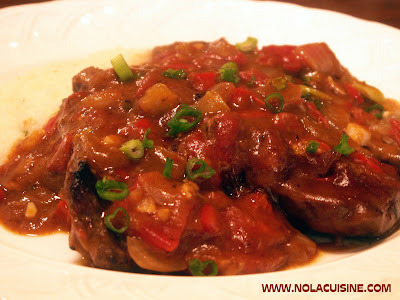 Be sure to check out my ever growing Index of Creole & Cajun Recipes, which features links to all of the recipes on this site!